It is my pleasure to say a few nice words about Doug. I have found Doug to be highly competent, proactive and a man of professional integrity. It was a pleasure to work with him when he was a member of Paravant. I am the Technical Director of the Defense Advanced GPS Receiver (DAGR) Program at Raytheon. As the name implies, DAGR is the next generation of handheld GPS receiver for the military. The Raytheon DAGR team selected Paravant to design and construct the cases for the prototype DAGR units. 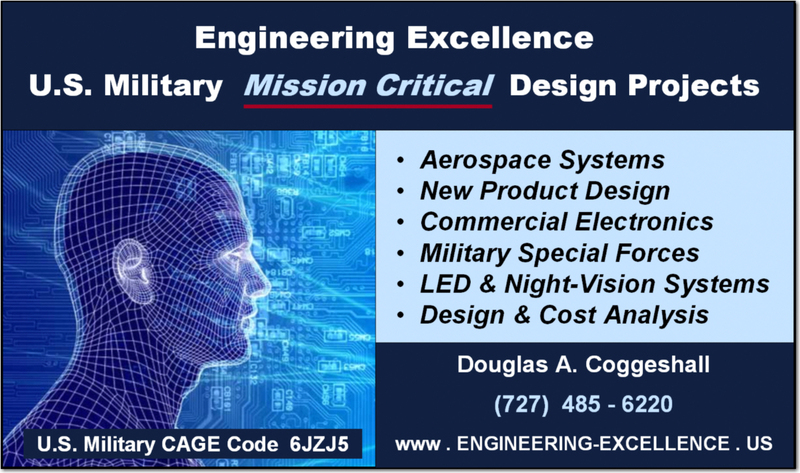 The design requirements can be briefly summarized as “provide the styling of a commercial product with the ruggedness of a military product”. Doug was the lead mechanical engineer at Paravant for this design. His task was to combine conflicting requirements for size, ergonomics, deep immersion, rough handling, biochemical resistance and military EMI/EMC into a cost effective design. I am happy to say that Doug did an outstanding job in fulfilling these and other requirements. To reach the final design, Doug provided Raytheon with an evolving set of drawings and, as time progressed, with stereolith assemblies that allowed us to experience how the product would feel and to see how the electronics would be assembled. As one would expect in a challenging task as this, the final product evolved greatly from the initial model. Throughout the process, Doug was always proactive, listened to our comments, revisited the design specification and evolved the case to a shape we are proud to put before our military customer. One of the traits I most respect in Doug is his sense of professional integrity. I saw this demonstrated in his interactions with both Raytheon and with his employer. Due to the challenge of this design task, Doug had to work closely with our DAGR team and his mechanical engineering counterparts at Raytheon. Throughout his association with us, I always felt that Doug gave his all to develop a case design for us that met our demanding specifications. At the same time, Doug was always mindful of his professional responsibilities to his employer. He never signed up for tasks or obligated Paravant to efforts that he believed were outside the scope of the contractual relation between Raytheon and Paravant; when in doubt, he would check with a higher level of management at Paravant. I will be most happy to follow up this Letter of Reference for Doug with a phone call or email. You can reach me at (310) 647-3556 or rwschoolcraft@west.raytheon.com. Copyright © 2018 "All Rights Reserved"